Tara Vang, a Seventh-day Adventist volunteer from the U.S. state of California, wasn’t sure what to do after entering a packed church in Romania’s capital, Bucharest. Vang — who is among dozens of volunteers distributing 2 million GLOW missionary tracts in Romania and Ukraine to raise awareness for major evangelistic meetings — wanted to share her colorful booklets but found it difficult to move among the worshippers. “So I did what I could. Then I left and started GLOWing the area around the church,” Vang said. It was then that she noticed a priest standing near a side door of the church building. “I was a bit afraid, but I felt that the Lord was telling me to give him some GLOW,” Vang said. So she presented the priest with two tracts, one of each title that she was carrying. The man opened the tracts and quickly read through them. Apparently liking what he read, he immediately asked for more. Vang gave him another two copies. Vang, scarcely believing her ears, handed him a stack of tracts. At that moment, several other priests opened the door and told the priest outside that it was his turn to speak. Vang’s story comes volunteers began blanketing Romania and Ukraine this week with colorful GLOW tracts carrying titles such as “Steps to Health” and “Is There Hope After Death?” The back panel of each tract has an invitation to evangelistic meetings and a website with information on how to find a location nearby. A total of 1 million tracts are being distributed in Romania, where evangelistic meetings will begin at 2,017 sites on Feb. 10. “Despite bitterly cold air and days where the temperature never rises above freezing, the missionaries are courageously meeting the divine appointments God has set up for them,” said Bill Krick, a cofounder of the GLOW ministry and literature ministries director for the Adventist Church’s Central California Conference. Another 1 million tracts are being distributed in Ukraine, where 1,000 sites will hold evangelistic meetings over the next three months. The first meetings opened in Ukraine on Feb. 3. GLOW tracts will also be shared in other countries of the former Soviet Union, including Moldova and, perhaps by 2018, in Russia, said Michael Kaminskiy, president of the church’s Euro-Asia Division, whose territory encompasses most of the former Soviet Union. He said the church was reviewing a restrictive religious law that Russia passed last year to make sure that the tracts could be distributed legally there. 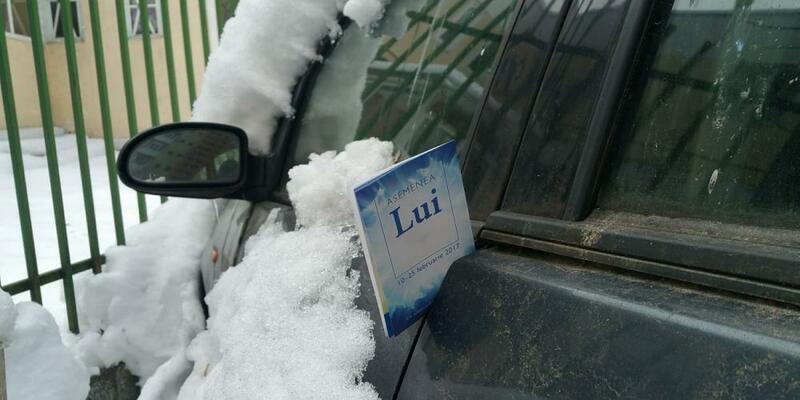 Meanwhile, GLOW’s Facebook page is filling up with photos and videos of volunteers passing out tracts in shopping centers and placing them under car windshields in Romania. Volunteers have shrugged off ongoing anti-government street protests, which included 150,000 people rallying in central Bucharest on Feb. 2. 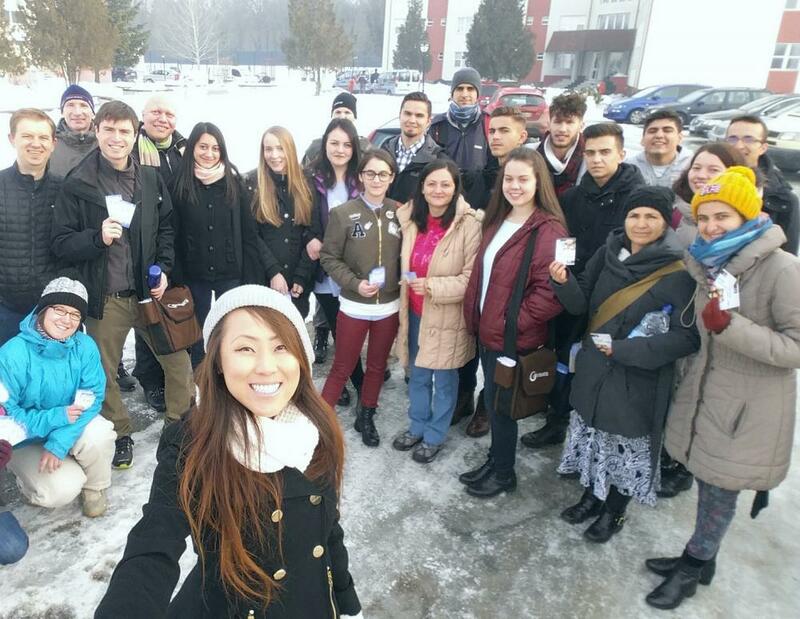 In Bucharest, tracts are being distributed by about 25 volunteers from Romania, Hungary, Bulgaria, and the United States, said team leader Nelson Ernst, who oversees the GLOW ministry and serves as associate literature ministries director for the Central California Conference. 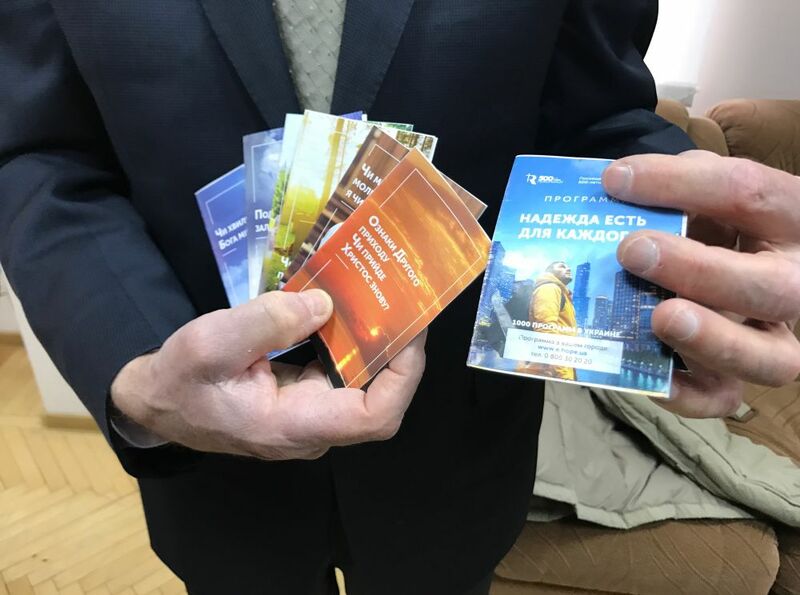 Similar tracts are being distributed across Ukraine, and they have been well received, said Kamil Metz, GLOW’s international coordinator, who helped distribute 5,000 tracts in one Ukrainian town alone last Sabbath, Jan 28. “Seventh-day Adventist churches got them, and Sunday-keeping churches want some, too,” he said. Leonid Rutkovskyy, a senior local church leader working with Metz, said all 1 million copies should be distributed within weeks. “It’s not a problem for us to distribute 1 million,” said Rutkovskyy, director of Adventist Mission and the Sabbath School department for the Adventist Church in Ukraine. 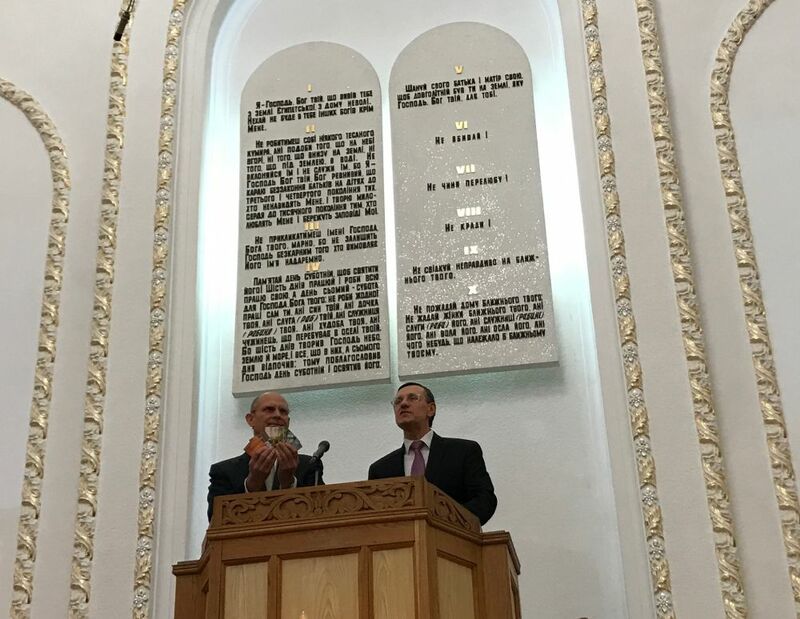 He said the General Conference, the administrative body of the Adventist world church, assisted the Ukrainian church in printing the 1 million tracts for only U.S.$6,000. “That’s probably the cheapest price in the world,” he said with a smile. 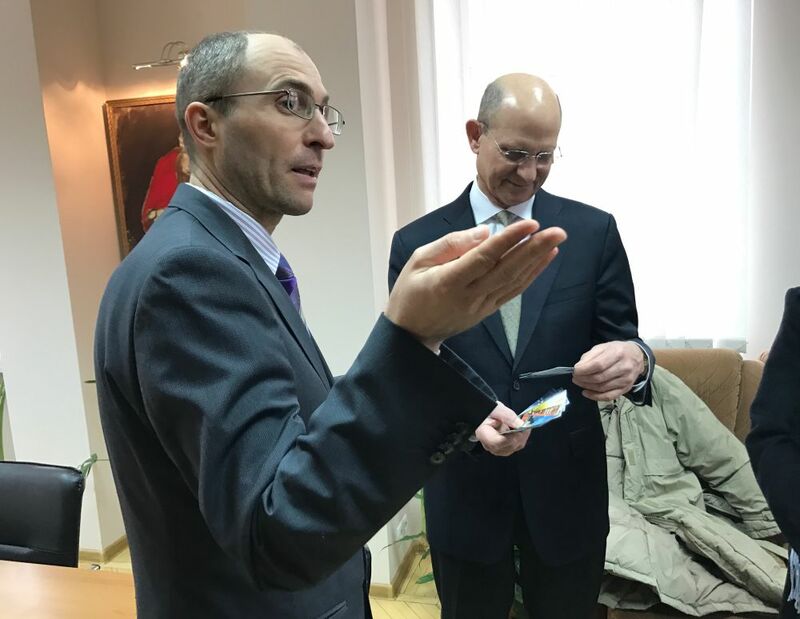 On Feb. 3, Rutkovskyy showed the GLOW tracts to Adventist Church president Ted N.C. Wilson, who is on a weeklong visit to Ukraine to, among other things, encourage church members to share the tracts and to support lay people and pastors presenting at evangelistic meetings. On the evening of Feb. 3, Wilson held up a bunch of GLOW tracts as he urged church members to share their faith at the Yamskaya Seventh-day Adventist Church in Ukraine’s capital, Kiev. Wilson said religious literature is to be used, with God’s power, to share the gospel until the end of time. Duped by a Woman Who Fled Ukraine's Conflict But the church deacon calls the experience a huge blessing.